Father’s Day 2017 is closer and closer with each passing day. At the time of writing this article, there are only 3 days left until the big one. So, whether you are a father looking for a new source of entertainment for your father-son time, or a son looking to buy your father something that will bond you through fun, the time is obviously running out! With that said, drones are undoubtedly an awesome choice just like they were a year ago. Just imagine flying one of the below-listed bad boys around the block in the company of your father/son. It will provide you with a precious time together and create memories that will last for years… But first you must make sure you buy a good one. Sure, spending a ton of money is always a good option and will (most likely) get you a proper drone. But, for those of you who don’t have such big budgets, there are plenty of cheaper models to choose from. Additionally, you also have to make sure which kind of a drone you’re looking for. Is it a one-time thing or do you plan on using it frequently? The latter choice usually requires a semi-professional drone with decent firepower underneath the hood. If you’re even more serious about your purchase, for example, you plan on taking the FAA Part 107 Test and fly it commercially, then you’ll need to get a premium one that packs a serious number of features onboard. On the other hand, if you plan on using it once or twice per month, then I warmly suggest picking a recreational one. They’re not that expensive and can surely provide you with a ton of fun. With all that in mind, I decided it would be for the best to divide my list into 3 sections: recreational, semi-professional and professional. That way, no matter your choice, you’re all going to be satisfied with the list. So, why don’t we jump straight into it? 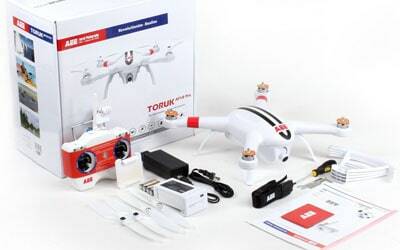 As I’ve already stated above, recreational drones are often the cheapest ones you can find. This category falls heavily in “under $200” range which makes it so consumer-friendly. Despite that, people seem to generally more swerve towards the more expensive side of market. With that being said, we will still first take a closer look into a couple of recreational models before moving onto the big guns. So, let’s start with Syma X5C1, shall we? 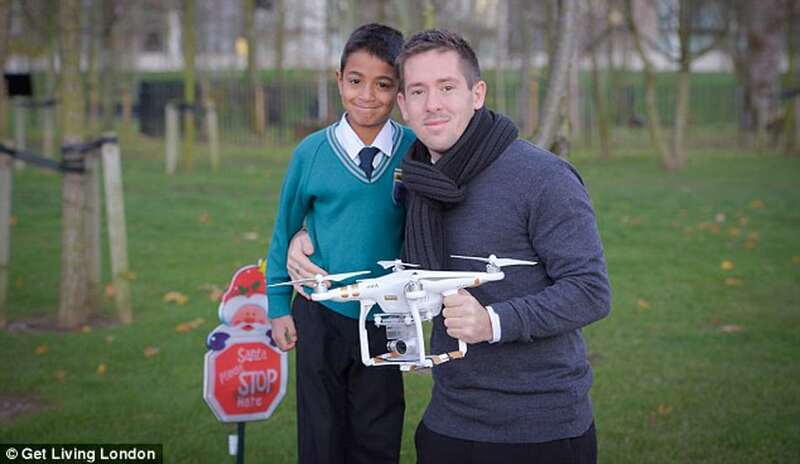 This small drone isn’t going to be everyone’s cup of tea design-wise. It is mostly white but has red, blue and black decals on the top. Personally, I am not that fond of them, but that doesn’t necessarily mean some of you will be. The best thing about Syma X5C1 is its modular setup which makes changing parts a proper ease… and trust me, this is a big deal since these cheap drones require a lot of spare party lying around. When you take a look at its technical details, it becomes clear that it’s just a toy drone (if its price didn’t suggest that already). Syma X5C1 battery goes on for around 6-7 minutes even though the official specifications claim 8. Moreover, remote distance is market down at 80 meters but, realistically, you’re looking around 70 to 80 tops. One thing that will surprise some of you is the presence of a HD camera. It is technically a HD one although the sensor is mere 2mpx which, you’ve guessed it, doesn’t do wonders when it comes to shooting aerial images or videos. A KA Alias, Traxxas 6608 is a miniature drone with lot of versatility underneath the hood. We are talking about a RTF (means Ready To Fly) model here which means it is fully assembled and ready for action. With several color variants, intuitive controls that make it insanely fun (and easy) to pilot, and bright LEDs, Traxxas 6608 Alias is sure to impress across all departments. But is it really that good? Let’s find out more! Honestly, the only downside of this one is the not-so-good build quality. Even though the body won’t break that easily, due to lack of prop guards, propellers don’t share the same luck. Luckily, they are available for sale most of the time. Then again, you can always 3D print them if you’re one of those DIY kinds of guys. 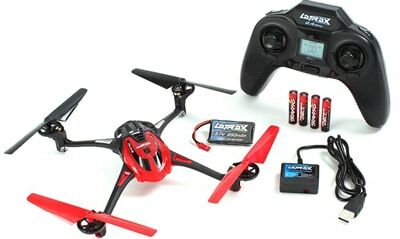 Traxxas Alias runs on 650mAh LiPo batteries and can stay in the air for roughly 6-7 minutes. Range is somewhere around the 50 meters mark but can fluctuate depending on nearby interference. Another thing you should know is that Traxxas 6608 Alias had serious issues with its brushed motors. They were burning out rather quickly and many users had complained about the problem. Traxxas rushed in to fix the mess and are now shipping with new, upgraded motors that are much more durable. If you did not notice by now, it does not come with a camera meaning there’s no FPV, aerial photography or any of those things. Traxxas Alias 6608 provides with barebone drone flying experience and can undoubtedly give a lot of experience to new pilots. Honestly, Hubsan H107D is an awesome drone, and I am not saying that just because my son adores it. It’s still a partial reason, but not the main one. That would be the featured controller that sports a 4.3-inch display for FPV monitoring. It can work relatively well (with some lag of course, but nothing too drastic) and without any issues up to 80 meters away from controller. Interference is minimized due to the fact controls are run via 2.4Ghz and FPV transmission through 5.8Ghz frequency. The battery in question is 3.7V 380mAh LiPo and, quite frankly, it runs surprisingly good. Even though the battery on Traxxas Alias has almost double mAh, they perform approximately the same. Lastly, it’s important to note that you should not expect any miracles regarding its built-in camera. It is nothing special and will most likely disappoint if you set the bars too high. Despite that, Hubsan H107D is still an outright still and I could not recommend it more! I suppose starting off with its MT1806 brushless 1800KV motor would be a good idea. This motor is not only extremely durable but also offers great performance and doesn’t lack in power-efficiency either. It is supported by a 1800mAh liPo battery. It is powerful enough to hold it in midair for slightly more than 15 minutes (can even jump to 18 if you’re flying it in a clear area). Needless to say, at this price range, that’s more than praiseworthy. Continuing onward, the range is not to be taken for granted either – approximately 300 meters. One of key reasons why it’s priced so low is the fact that it does not come with a camera. However, that does not mean aerial photography is a no-go. 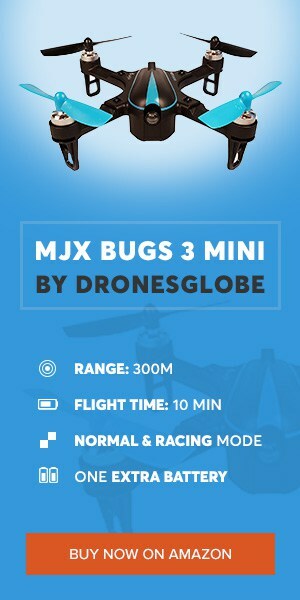 You see, MJX Bugs 3 supports GoPros and many other brands of action cameras which are able to turn it into a solid aerial platform. So, whether you’re aiming for a slightly better recreational model or something you could occasionally use for work, MJX Bugs 3 is surely a solid choice! That’s about it as far as cheap drones go. This next one, even though it’s still moderately priced, cannot really be considered a children’s toy. Hubsan H501S brings great value for money and is surely among the best semi-professional drones out there. Want to know why? Continue reading and you might just find out! First of all, I would like to mention that Hubsan H501S provides with a great FPV experience. You will get everything you need for it which means it doesn’t require a smartphone or an additional camera for FPV to work properly. 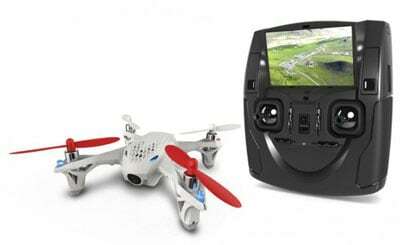 That is ensure by a built-in 4.3-inch display with 480×272 resolution meant for FPV monitoring. The controller itself (together with the display) is pretty bulky but is still not too heavy to hold for prolonged periods of time. Considering this little fella can fly for around 18 minutes, heavy controller would be a big issue, but fortunately that’s not the case. The camera on Hubsan H501S is excellent! 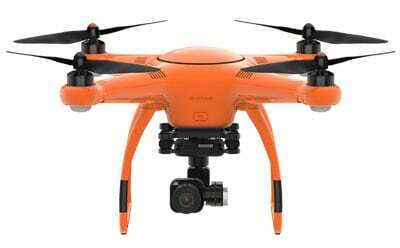 It can record in full HD at 30fps and supports onboard recording and FPV simultaneously without any issues. Range, on the other hand, hovers around 300-meter mark which is a bit disappointing considering rest of the package. Still, for casual and/or semi-professional use, 300 meters are good enough. All in all, it’s a good all-around package, especially for people who want to a solid FPV (FPV goggles are supported as well) experience but don’t want to pay an enormous price. Even though the Mini version of XIRO Xplorer is out for quite some time already, today we will be focusing on the good old XIRO Xplorer V. In addition to these 2 versions, there’s also a G one. With Mini being a completely different drone, XIRO Xplorer V and G are identical with only accessories differentiating them. More precisely, V comes with a 1080p camera and G comes with only a 3-axis gimbal. Now that I’ve already mentioned the camera, it’s important to add that it is powered by a 3-axis gimbal stabilization system (the same one that comes with G version). Needless to say, it does wonders in terms of smoothing out your aerial footage. In combination with several smart flight modes such as Follow Me, you’ll be able to capture brilliant videos in full HD which is the very essence of modern day drones. Moving forward, XIRO Xplorer V is powered by a smart 5200mAh battery. As you can see, it is quite powerful so it’s not that surprising to see this drone up in the air for roughly 22 minutes. There is nothing bad to be said about its operating range either. Roughly 600 meters means it has exceeded my intial expectation. Considering everything stated through these last couple of paragraphs, it is obvious that XIRO Xplorer V doesn’t slack around. It’s a decent drone and a good bargain for those of you looking at mid-tier models. It is safe to say that AEE Technology isn’t exactly the most popular drone brand out there. They don’t have a lot of drones on display with most popular ones being AP10 Pro (the one I’m showing off today), AP11 and AP9. Still, when it comes to AEE, it’s clear that they are relying on the good old saying – quality over quantity. With that in mind, let’s check AEE AP10 Pro and see what does it bring to the table! It features a miniature built-in camera that can capture videos in 1080p resolution at buttery smooth 60 frames per second. 16MPX still images are supported too. Generally speaking, I’ll dare to say this drone has one of the best built-in cameras in this price range. Even without stabilization, footage is relatively smooth with drone’s GPS system does its best with maintaining precise movement alterations. If you turn it off and head onward with full throttle, you are looking at roughly 44mph top speed. I don’t have to tell you twice just how fast that is, especially for a drone of this price. Class 4 wind resistance does its part too, meaning Chicago (Windy City reference) is a safe-flight area all year around. Moving forward, 5300mAh LiPo battery is in charge of keeping AEE AP10 Pro in the air for up to 23 minutes on a single charge. If it gets low, failsafe features will automatically activate and, together with GPS, will return your drone safely to the takeoff location. Last but not least – operating range. Even though some of you must have expected more, I am afraid you will have to settle with cca 500 meters for your aerial endeavors. Even though time has taken its toll and this drone has already been surpassed by many newer models, DJI Phantom 3 Pro still has some charm. As a matter of fact, it has ages decently and Is still among the best alternatives to current generation of flagship drones. I’m sure you already know Phantom 3 Pro is packed with some serious firepower so let’s see what exactly does it have to offer! Even though the price has gone down from the initial one, Phantom 3 Pro is still a pricey investment. But, since this is a section dedicated to professional drones, it must have a wide variety of commercial uses, right? Well, that’s not a surprising fact since DJI Phantom 3 Pro offers 4K-ready camera mounted on a 3-axis gimbal stabilizer. Combine that with exceptional battery life (up to 23 minutes) and even better operating range (3 kilometers in a clear area), and it becomes clear that Phantom 3 Pro can be a great perimeter security drone in addition to its top-flight aerial platform capabilities. In terms of specifications, P3 Pro stands tall with full DJI GO app support, GPS+GLONASS navigation systems, plethora of smart flight features and failsafe functions that will keep it safe and sound even when you don’t pay enough attention to battery levels and distance. With all that in mind, DJI Phantom 3 Pro still proves to be a worthy competitor for all high-end alternatives on the market. If there’s a heavily underrated high-end drone out there, then it has to be this one! Even though Autel Robotics did one heck of a job with X-Star Premium, it still manages to go under the radar. Why is that so? Well, quite frankly – I am not sure what could be the reason. If I were to guess, I’d say It is because of bad marketing channels or just the lack of them. Am I right or terribly wrong? Perhaps taking a closer look at Autel Robotics X-Star Premium will give you an answer! This high-end drone comes with a 4K camera of course. 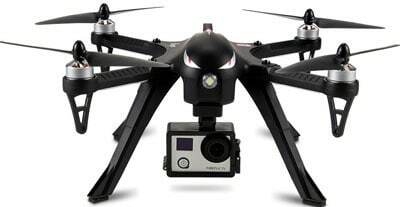 It is mounted on a quick-release 3-axis gimbal stabilization system to ensure optimal image and video stability. Of course, this is not a surprising thing to see at this price range. Virtually all drones have hardware stabilization in place since it is a real game changer in terms of image/video quality. Moving on to the specifications, you are looking at approximately 2 kilometers of operating range with live FPV feature working to its fullest too. Transmission is in HD which ensures optimal image quality… but you’ll have to supply your own smartphone to serve as the output since there is no dedicated FPV display on X-Star Premium’s controller, only a small LCD used for telemetry. Lastly, I’d also like to say a thing or two about some of its most important features. GPS+GLONASS is present, so is Autel Robotic’s patented SecureFly protection and Starpoint Positioning System. More importantly, these safety features are all written on that small LCD display I mentioned above. This means they’re not app bound as is the case with DJI drones, making it much more reliable. In other words, if something goes wrong you can be sure your drone will stay alive. Slowly but surely, we are reaching the final drone for professional use on this list. Before that, first we are going to take a look at DJI Mavic Pro – an absolute proof that the most dangerous poison comes packed in the smallest of bottles. What’s so special about it? Well, that’s exactly what you will be able to find out down below! By far the best thing about DJI Mavic Pro is its size/performance ratio. This is something DJI has put a lot of effort into, and obviously, it has paid out. Mavic Pro is selling like crazy and people are amazed with its 7 kilometers of operating range and up to 27 minutes of flight time… But don’t worry, that’s not the end of Mavic Pro’s wonders. If we take a closer look at its built-in camera, we’ll notice that it can shoot 4K footage at 30fps and is silk smooth due to integrated 3-axis hardware stabilization system. Capturing modes include single shot, burst shooting and auto exposure bracketing for more advanced users. In terms of features, DJI Mavic Pro shines with technically everything Phantom 4 Pro, including TapFly, ActiveTrack and dual navigational systems. Considering the fact both specifications and features are roughly the same as those on Phantom 4 Pro, it is clear that DJI Mavic Pro has a ton of leverage. And that’s why, boys and girls, people are going crazy for it. Finally, we have reached the final drone on this list. As most of you expected, the first spot goes to DJI Phantom 4 Pro, a miraculous drone made by the leaders in drone industry. Even though you guys probably know about its main characteristics, I will still do my best to explain why it’s currently the best professional grade drone that you can purchase for Father’s Day 2017. If you or your father are interested in aerial photography with a tendency of becoming a licensed pilot, then there aren’t any better models than this one. 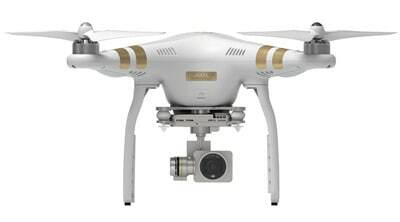 DJI Phantom 4 Pro delivers THE ULTIMATE drone flying experience with an exceptional build quality and groundbreaking specs/features. It would take an entire article to list out everything this drone is capable of. That’s why I’ll just guide you through its main characteristics. Starting off from the camera, Phantom 4 Pro sports a brand new 1-inch CMOS 20mpx sensor. It can record buttery smooth 4K aerial footage and has same capturing modes just like Mavic Pro. When it comes to 4K videos, H.265 encoding will give you up to 30fps while older H.264 can output 60fps. In terms of specifications, I’ve already mentioned above that it’s roughly the same as DJI Mavic Pro – 7 kilometers of range and up to 27 minutes battery life. The same goes for features too – the key ones such as ActiveTrack, GPS/GLONASS, TapFly and Gesture Mode are all present. Combine them with autonomous flight modes, obstacle avoidance sensors and sheer magnificence of its design and I’m sure you’ll appreciate what DJI Phantom 4 Pro brings to the table… and that’s pure excellence! And, with the final best of a drone that is DJI Phantom 4 Pro, I am afraid to let you know you have come to the end of this list… and this article as well. You have to admit – it was one hell of a ride from the top down. You’ve read through some of the best drones in their respective category and I am sure that, no matter which one you go for, you’ll end up enjoying Father’s Day 2017 with your loved ones. With that in mind, I’m sure you 2 will remember DronesGlobe when you’re flying around your house, recording gorgeous aerial footage all while having the best time of your lives. Drones are awesome guys… More awesome than most of you probably think. And if there’s one thing I know (and trust me, I’ve been around drones for quite some time now) about drones, it’s that they have a tendency of permanently chiseling dear memories. And that’s exactly what Father’s Day is all about!